Wholesaler of a wide range of products which include semi automatic sleeve seal cutting machine and automatic sleeve seal cutting machine. 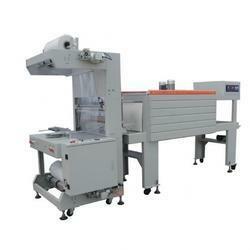 TF6540SA semi automatic sleeve sealing Machine can be pushed manually or pneumatically. After the process of sealing cutting, the products enter the shrink tunnel automatically. Shrink packing for many industries, such as printing, pharmacy, floor, chinaware, beverage, etc. BSF-6030X semiautomatic sleeve sealing machine is a type of economic one among BSF series, simple operation, push the products manually or pneumatically, sealing the film and the products enter the shrink tunnel automatically, and used PE film to pack products. BSF-6030X adopts the imported air-cylinder, assure stable pushing and sealing. 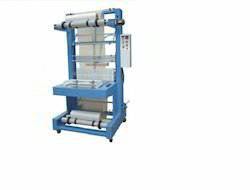 Adopts specially designed sealing cutter, results in perfect sealing line, avoid the film sticking the cutter. The covered cylinder setting enhance the convenience for the operator; with rear pressing device assure even light product without any shifting. The front frame is adjustable according to different product sizes. pping products such as electric appliance, auto spares, furniture and floor board etc. Looking for Sleeve Seal Cutting Machine ?